The CCG genre has never been more popular, and talking to some folks, there’s a bit of animosity toward Hearthstone (Free) right now, so the field is wide open for anyone competing for that CCG love. 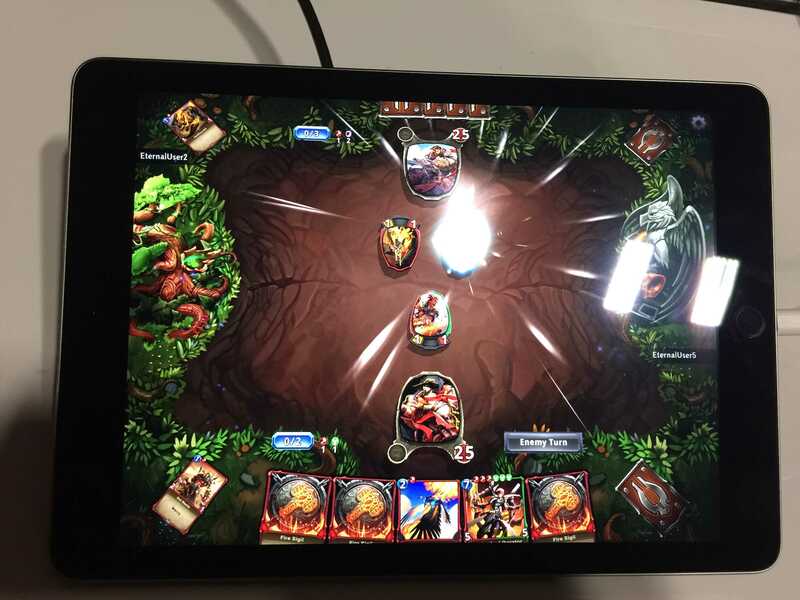 Eternal, developed by Dire Wolf Digital and published by Versus Evil (Update: Eternal is self-published, the game was merely sharing space with Versus Evil at their booth) , is another CCG that’ll have you battling against opponents. The game is in pretty good shape at the moment, as they had the cross platform multiplayer already working: I played a multiplayer match against a developer playing on a PC while I was on an iPad. You have to play different elemental mana cards to add to your total pool, but also to power up certain abilities for your cards that are enabled once you have that number of elemental mana pool in play. Additionally, your cards are primarily attacking the opposing hero – an AI is in play that will decide when your cards will block attacks. This game is set to launch on iOS around when the desktop version goes live. A closed beta will be made available – you can sign up for it on the Eternal website. Previous PostPrevious PAX South 2016: ‘Heroes Must Die’ is a Real Game…and a Real Play? !